The year: 1977. The price: $10. The event: An introductory Flight. The experience: A new direction to life. Suzanne wanted a career, and was busily working on her teaching credentials. This was one of the two respected jobs for women- teaching or nursing. 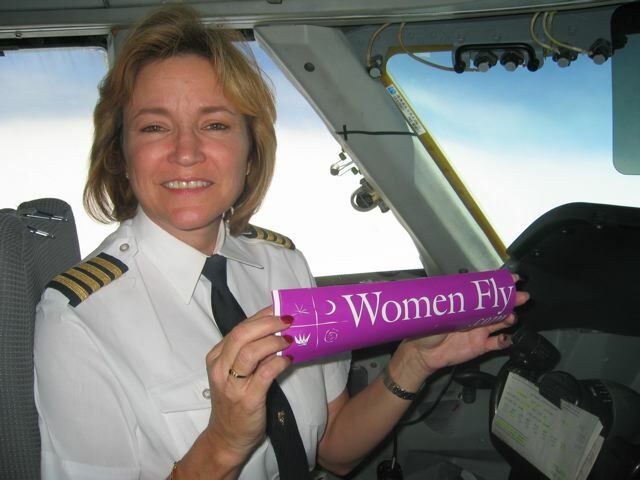 This is Women of Aviation week where we introduce women to flying. 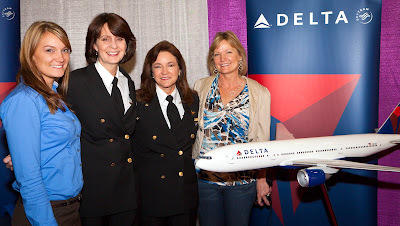 And today I am in Dallas at the Women in Aviation conference. If you want to know why we do this—Suzanne is the perfect example. Thanks to that coupon, the doors were opened to the sky. But it was a special woman, Wanda Strassburg—a 99—who gave Suzanne her wings to fly. Due to the wrong timing—Wanda was born too early to fly for the airlines. 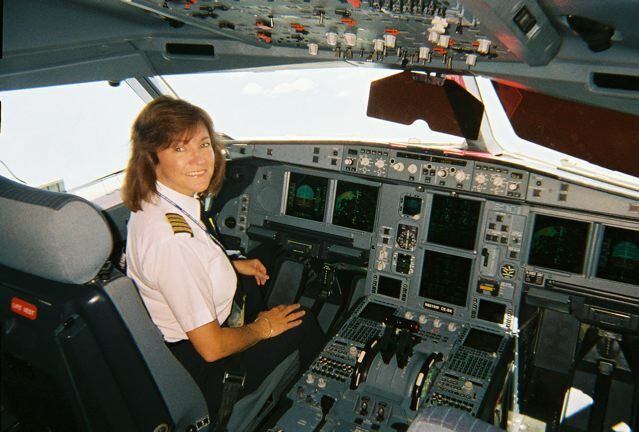 Her career ended with the FAA, and this is where she met, and impacted Suzanne’s life. 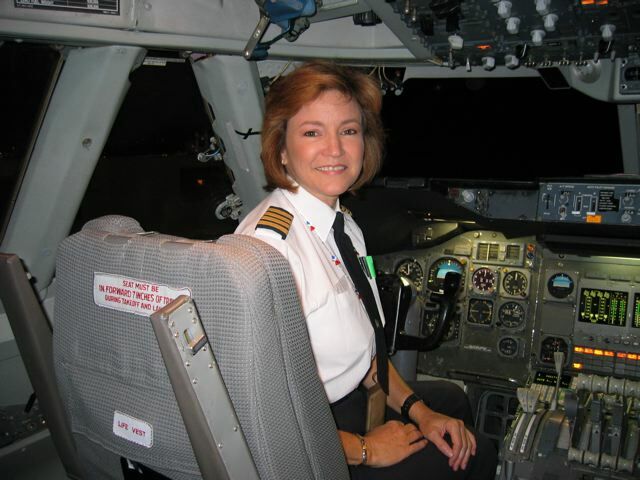 While obtaining her pilot’s license, Suzanne had never contemplated being a pilot. 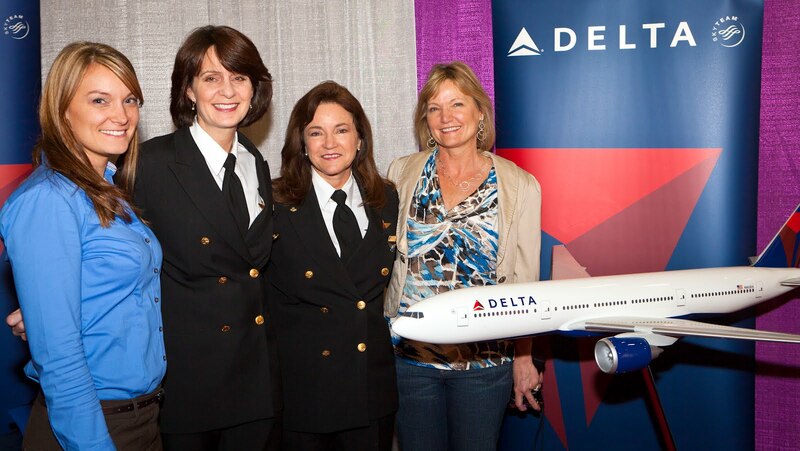 But when Wanda gave her a check ride and then told her that she had potential to become an airline pilot, she turned on a light to a dream that Suzanne would make a reality. With the fondest memories, Suzanne says, “Wanda planted the seed. And her belief in me was the fertilizer.” Suzanne also has a warm place in her heart for the Women Aviation Group—The 99’s—as they gave her a $1000 flying scholarship. She had no money, but thanks to the 99’s they helped tremendously, and she’s never forgotten. Suzanne lived at the airport in San Luis Obispo. Being a CFII was her favorite job. She loved teaching and flying. But she worked many jobs to make ends meet until her aviation career took off. 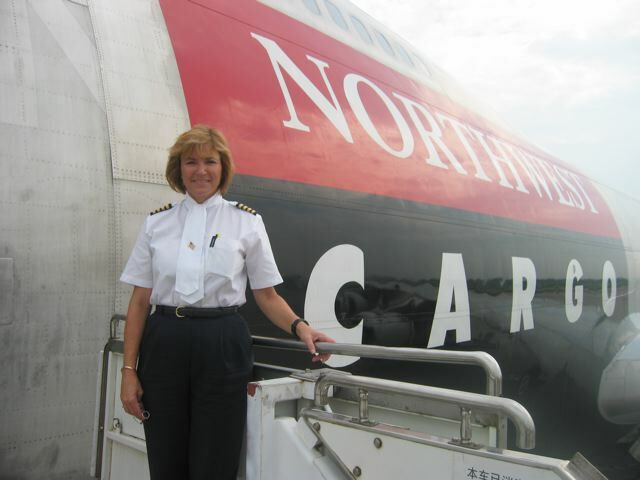 From the time she had started flying to the time she was hired by Northwest Airlines included seven years of instructing, charters, a start up commuter, air ambulance, Imperial Airlines Bombardiers, Shorts 360’s, furloughs and full circle back to Imperial. DC-10 SO, then the 727 FO. She loved the flying so much, but during the merger she had been advised to get the highest paying position possible—the 747 SO, and Seattle. She then moved to the 757 as a FO—and her son was born while she and her husband were both in ground school. The next move was to the DC 10 as an FO. And in 1998 she upgraded to a DC-10 Captain. 911 happened. 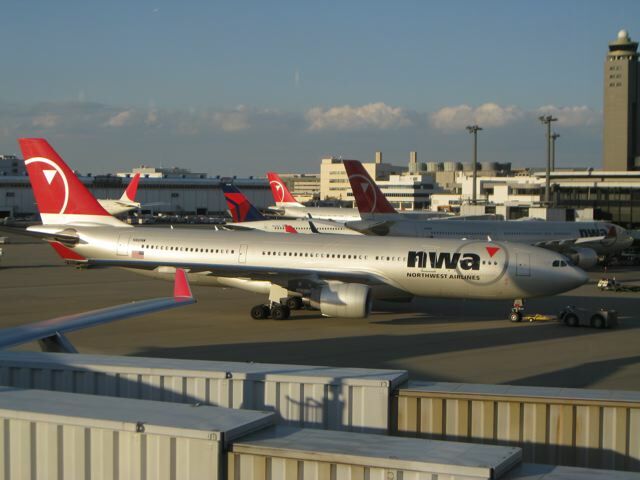 NWA parked the DC-10, and Suzanne found herself as 747-200 Captain. 2005 Found Suzanne in a new world, as an A330 Captain. Three years later she was wearing a black uniform. Last week I was called out on reserve, and who should be on our flight from LAX to NRT—Suzanne! It was so wonderful to fly a leg with her and I’m looking forward to an entire trip. Why does she fly? I agree that flying is like drug,and I'm sure I am addicted.This activity comes my favorite one,and yes,I will stick with it.And as you and Suzanne san mentioned,if I have some difficulty,I will come back tomorrow with fresh mind after visualizing what is wrong with my flight. Hi Jun, I'm so glad you came to read. Her advice to come back tomorrow is priceless. And... you will do great! Happy landings. One flight at a time. Lol. Isn't that the truth. And we need to fast and big ones too. Thanks for the comment Sander. Oh... those lobster tails have a soft spot for me too. Thank you so much for the comment and alway believe... Never give up. I love this post. Suzanne is a great inspiration with her realistic and determined attitude in service of her dream. Thanks Linda, Yes... she is. And one day you will get to meet her too. Thank you Alex. Yes... one moment at a time. Come to WAI next year. There are a lot of men here. You could be part of the adventure. Yes.. you will be studying here soon! :) I hope all the information helps. Read next week. Thanks Kathy... that one day at a time always goes by way too fast. See you in a week? I love Suzanne's outlook on making things work, and what a great story!